Years ago at the Just For Laughs Festival in Montreal, Doug Stanhope appeared on a show called Confessing It. The lineup of comedians found laughs in everything from the mildly embarrassing to genuinely soul-searching. Then came Stanhope, who told a story about a former girlfriend using the morning-after pill. His graphic description shocked a few in the room who ostensibly were there to hear people’s deep, dark secrets. Tags: Beer Hall Putsch, comedy, Confessing It, Doug Stanhope, Levity Live, Nick A. Zaino III, Spit Take Saturday, The Gold Room, The Wilbur Theatre. 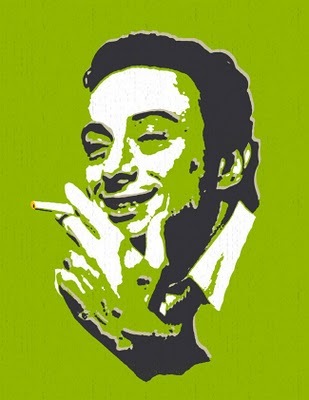 Tomorrow is legendary comedian/social critic Lenny Bruce‘s birthday. Had Bruce not died in 1966 of “acute morphine poisoning caused by accidental overdose” in his home in the Hollywood Hills, he would be celebrating his 86th birthday. Despite his success, Bruce led a tortured life and he used comedy as an outlet for his frustrations with, not only his personal life, but with American culture in general. He had good reason to be frustrated, his performances often ended with him being taken away in handcuffs by police officers who deemed his comedic style obscene and offensive. Social criticism and obscenities are commonplace amongst today’s stand-up comedians, but this is due to the pioneering work of Lenny Bruce and the multiple injustices that he was forced to endure. It’s clear when one looks at comedians before Bruce and after. Just compare Bob Hope or Bob Newhart to say Richard Pryor or George Carlin. The difference is night and day and neither Pryor or Carlin would have achieved the level of success that they did, without Lenny Bruce blazing the trail for them. He pushed the boundaries of what was acceptable and challenged his audiences to think about the world around them and essentially changed the face of stand-up for the latter half of the twentieth century. Today, tons of comedians use risqué language, outlandish behavior and controversial subject matter to drive their material. They don’t have to rely on what’s “safe” or predictable, they can push the boundaries and every one of those comedians owes something to Lenny Bruce. Tags: Annie La Ganga, Bob Hope, Bob Newhart, cencorship, Charlie Ballard, comedy, Daniel Tosh, Doug Stanhope, George Carlin, Lenny Bruce, Louis C.K., Nick Swardson, obscenity, Oliver Lake, Richard Pryor, Rory Scovel, Skillcrane's Place, Surpise Annie, The Hella Gay Comedy Show, The Stranger. Salt Lake City! 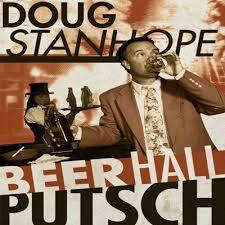 Comedian Doug Stanhope Records Live CD/DVD Tonight! As some of you know, we have a lot of love for comedian Doug Stanhope. He was an early supporter of Brown Paper Tickets. He appeared on our “Right To DIY.” sampler and he uses us for all of his tours. So, we encourage all our friends down in Salt Lake City to pick up tickets for his show tonight while they last. Ever wanted to be on TV? Here’s your chance. He’s taping a live CD/DVD in your beautiful city tonight and there’s not a whole lot of tickets left so pick those up right away here. Get out there and support quality stand-up comedy. Tags: Doug Stanhope, Right to DIY, Salt Lake City, The Complex. Down at SXSW? You’re invited to come to Brown Paper Tickets’ super secret salons at the Driskill Hotel. You can meet some of your heroes, plus we’ll give you a copy of our first-ever vinyl double set spotlighting Brown Paper Tickets’ artists. Sweet! 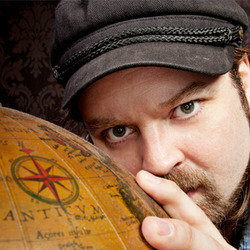 Tags: Doug Stanhope, Driskill Hotel, Green Light Go Publicity, Hard Pressed Publicity, HootSuite, SXSW, The Specials.